Sasquatch 2011: Guided By Voices, Live In Concert Still kicking after a long hiatus, Robert Pollard and company kick out a set of vintage power pop for the Sasquatch crowd. 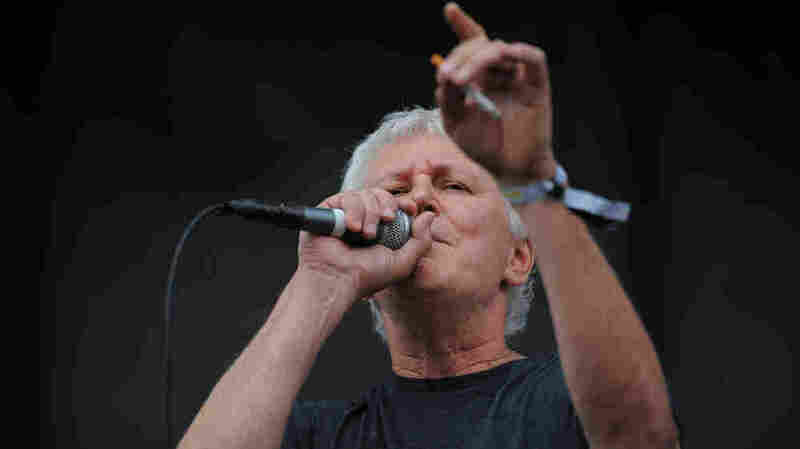 Bob Pollard of Guided By Voices performs live at the 2011 Sasquatch Music Festival. Perhaps we should have known all the time that Robert Pollard, one of the most prolific pop artists of our time, wouldn't stay silent for long. As the charismatic leader and sole consistent member of Guided By Voices, Pollard spent 20 years cranking out two-minute shout-along rock anthems with the band before disbanding it in 2004. But the group gathered late last year to play an anniversary concert for its longtime label, Matador Records, and the one-off gig quickly snowballed into a full-blown reunion tour. Recorded live at The Gorge on Monday, May 30, Guided By Voices performs here as part of the 2011 Sasquatch Music Festival outside Seattle, Wash.